The Online Language Placement Test is suitable for refugees who wish to attend a language course before they begin or continue their studies in Germany. 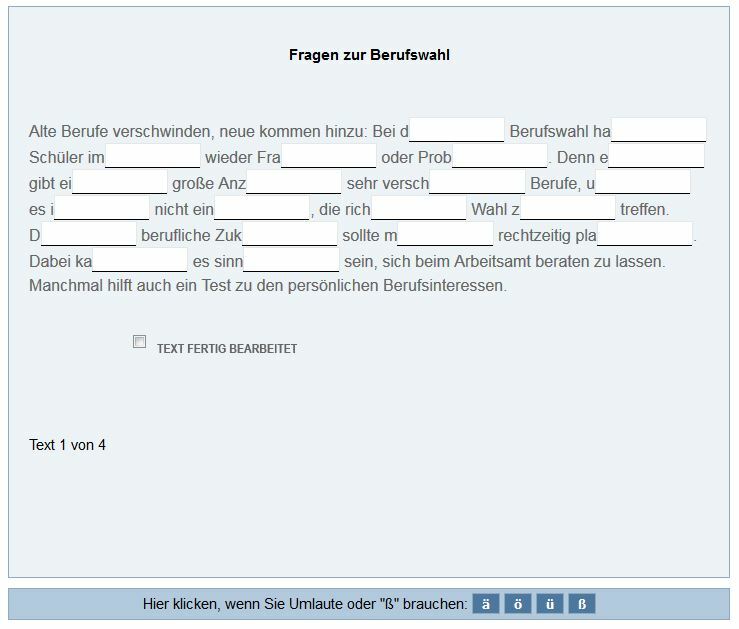 Registered refugees can take the test for free in German or English. Your onSET result will help you find the appropriate language course. Colleges and language course providers will quickly be able to assign you to the course that is best for you. If you would like to start or continue your studies in Germany, then it’s important you have some language preparation. 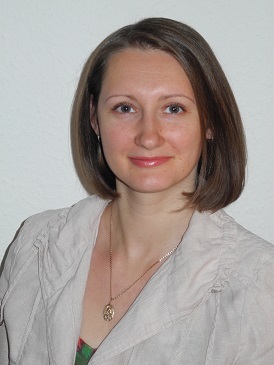 The language courses not only allow you to increase your German or English knowledge, but specifically improve the language skills you need for your studies.The onSET can help you discover which course best suits you as the result will indicate your level in German or English, respectively. Submit your onSET result to your college or language school and you will be assigned to an appropriate language course. “The onSET for Refugees is a free, fast and reliable procedure to assess the language skills of the participants. The onSET is a test with six gap fill exercises. Time is important. You have five minutes per text to fill in the gaps. You will then be directed to the next text. If you wish you can move on to the next text sooner. It is not possible to go back. One point is awarded for each correctly filled gap. You can achieve a maximum of 120 points. After you have edited all six texts your result is displayed. You will see your score (from 0 to 120 points), what percentage you have correctly completed and at what level your language skills are according to the Common European Framework of Reference for Languages (CEFR). To participate in the onSET you need a computer or laptop with an internet connection. First, register for the onSET. Please make sure to have your residence permit ready (see: Who can take the onSET for Refugees). Be careful that you upload a document with information that exactly conforms with the information that you stated for registration. Otherwise you will be suspended from further tests. You can choose whether the onSET-Portal is displayed in German or English. Instructions appear in your chosen language before and during the test. Once you have selected the language you can then decide: Do you want to test your German language skills with the onSET-Deutsch or your English skills with onSET-English? The choice depends on whether you want to attend a language course for German or English.You can take the test for both languages. After you have completed one language version, you simply select the other version and work on that one. When you start the onSET, you will be given instructions for completing the gap fill exercises. After you have read the instructions you can start the test. Please use Google Chrome or Mozilla Firefox for the test execution, if possible, because other browsers may cause problems. IMPORTANT: Dictionaries or word lists cannot be used during the test. Do not let anyone else take the test for you or assist you in completing the test. Your test result will only be valid if you take the test yourself and without assistance. This way you can be sure to find the language course that is right for you. Familiarise yourself with the onSET with the sample test! In the sample test you complete four instead of six tasks. The tasks in the test sample look just like those in the regular placement test, but in general are a little easier. After clicking on “onSET-Deutsch” or “onSET-English” there is an automatic check to see if your browser settings are suitable for carrying out the sample tests. If an error message appears, please change the appropriate setting. 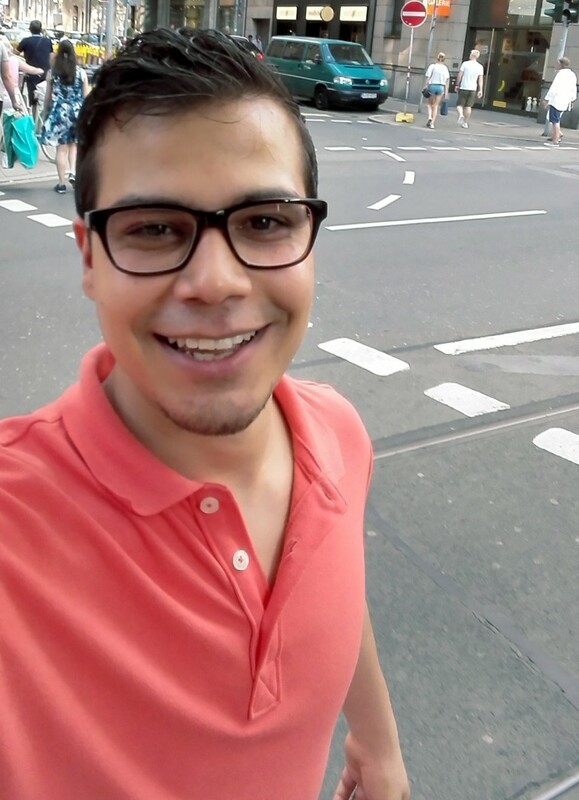 “I have been in Germany as a refugee for 14 months now. For a couple of months already I have been interested in the TestDaF. I thus wanted to assess myself to find out whether I am ready to take it. After a long search I found the cost-free onSET. I finished it within only 15 minutes. To my mind the number of tasks was sufficient, my language skills could be concretely evaluated. – Family members (parents, children, spouses), who have joined recognised refugees or asylum seekers as defined under the Geneva Convention or those granted subsidiary protection, may also participate in the free review process if they can provide proof that the “principal” person (the first to be granted refugee status) has a residence permit. You will be asked for your status when registering for the test. You will then be able to take the test free of charge. Please have photos or scanned residency documents ready; you will be asked to upload documents when registering. The availability of the onSET portal and the test administration can be limited during routine maintenance. Maintenance work will next be carried out on 2019/05/01 between 5 am and 9 am (German time). The maintenance work will be announced on the home page of the onSET portal two days in advance. You will receive an email with an attached PDF document confirming your test result. The attached PDF document can be printed and it will remain in your portal for you to access at any time.